This volume in the ChildrenSing series adds the dimension of children not only singing, but also playing simple instrumental parts! 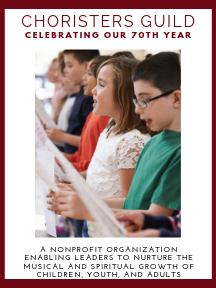 This collection includes seven short anthems that span the church year for elementary choral singers. Includes reproducable singer parts, reproducible instrumental parts, and the complete accompaniments for each piece. Includes full score, reproducible singer pages and instrumental pages, as well as a CD of full-chorus and accompaniment-only versions.